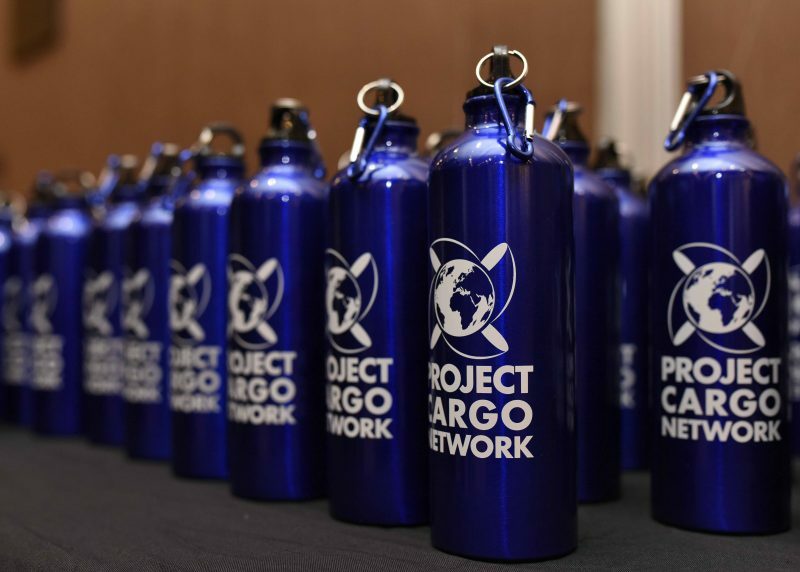 Project Cargo Network (PCN) recently held what they believe to be the greenest meeting in the industry’s history. Firstly, thousands of air travel miles were saved by holding their network meeting in one place so that their Members don’t have to make countless individual trips to visit their fellow partners who are situated all over the world. Secondly, most similar events use 100s of single use plastic water bottles over their duration, which can take between 400 and 1,000 years to decompose. From harming marine life to littering beaches and congesting landfills, the disturbing growth of plastics is threatening our world. To help battle plastic pollution, PCN provided their delegates with BPA free reusable aluminium bottles and the hotel supplied pitchers of water in the conference room. PCN also gave their delegates reusable, recyclable Conference Bags saving the standard plastic bags used to carry company brochures from sitting in a landfill. It takes less energy to create nonwoven polypropylene bags than is used to create cotton bags and they were also very popular. The summit was held at the Real InterContinental in San José who constantly monitor their diesel boilers so that most of the time the biomass boiler (alternative energy) is used, thus minimising fossil fuel consumption and helping to reduce their carbon footprint. Earlier in 2018, Costa Rica’s President Carlos Alvarado announced plans to ban fossil fuels and to become the first fully decarbonised country in the world. The organisation was honoured to welcome Fernanda Bolaños from The Ministry of Foreign Trade who attended their Opening Session. The Ministry of Foreign Trade (COMEX) is the governmental institution responsible for defining and managing foreign trade policy and foreign investment in the country. Other highlights of the event included Special Guest, HLPFI’s Co-Founder and Managing Editor, Ian Matheson who gave an entertaining 10-year recap of the industry and James Celano of Wise Tech, who introduced their innovative Cargo Wise One system. The summit also raised over $4000 for local grassroot Type 1 Diabetes charity, EDPD where funds will go towards printing education booklets, a Youth Diabetes Camp and expanding projects at healthcare centres. For more details on the meeting and to view the full collection of photographs, click here.